We hope you all had a wonderful Thanksgiving with your families! We are so grateful for each of you. As you gear up for the holidays, we hope you remember the Rest Registry as a wonderful gift for any new parents or soon-to-be parents. Think of it as a gift certificate for sleep. Who wouldn’t want that?! Toddlers. Their busy, little brains brains are sponges, and somewhere in this sweet (albeit tough) phase, bedtime can start to look a little different as they become more aware of their surroundings. 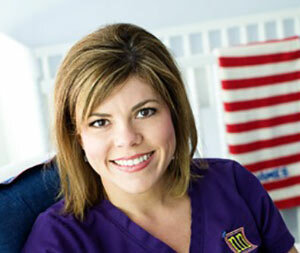 Below Melissa is addressing how to combat some typical toddler roadblocks to good sleep habits. As always, please let us know if there are any lingering questions by shooting an email to melissa@newbornnightingales.com. We are here to help! My toddler is newly scared of the dark. How do you suggest handling this at bedtime? First off, only introduce a nightlight when they are old enough to ask for one. Typically, age 3 or 4 is an appropriate time to offer one. Try to find one with a red light, not blue, that is very dim. We like thisone. It is important to offer bedtime routine in their room and talk about shutting the door to keep them safe. Toddlers push boundaries. Reinforce those limits, and they will feel safe as their little world stays the same. What do you advise if my toddler is waking up scared in the middle of the night? Older toddlers will start having bad dreams and need reassurance from time to time. Do not ask them to describe the bad dream. Reinforce they are safe in their room, and you are close by. If you bring them to bed with you or lie with them while sleeping, this only introduces change, and that is never good for bedtime routine. How do we break the habit of allowing our toddler to come into our room and sleep in our bed or on the floor? Reinforcing a consistent bedtime routine several nights in a row will set this boundary back into place. Unless a child is sick, a sleep plan should be followed to make every night the same. Unless the crib is needed for a new baby, keep toddlers safe in their crib until they will not stay put there anymore. Once out of the crib, their room is now their crib, and the door should stay shut. The room should be completely child-proofed and safe for them should they be up without you knowing in the middle of the night. If you are against shutting the door, walk your child back each time they come out of their room at night and tuck them in. However, this takes much longer to reinforce, and it is not as safe considering you may be asleep while they are up in the house in the middle of the night. Warmest wishes this holiday season! May you embrace the chaos and keep hold of what matters most in the midst of it. Traveling? Follow here for some great tips for maintaining good sleep. For better or worse, the winter months can often mean sick babies. Follow here for wisdom on fevers and how to address them.